Enlightening work u did here. 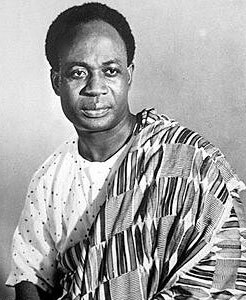 great job .Nkrumah did a lot for Africans ,and though he is not alive, his legacy will forever live on. i did short write about him . i hope you check it out if you dont mind :)https://kwakuananse1.wordpress.com/2014/10/17/the-hero-who-begot-heroes/. Brilliant article. Well written and captivating. I loved it and I will be reading more of your blog. It is interesting and I love what you are doing with it and your perspective. Thanks. A well-crafted retrospective, and I’m sure it’s not easy to distill the life of such a large figure.